By the way, if you do not use a CNC to pre drill mounting holes for the Radio, PCM, VRM, Talons, PDB, or roboRio, the sticker templates are a gift! We received dozens of them. If you need some, let us know. As a mechanical guy those stickers were the thing I was most excited about in the product release. Can’t wait to get my hands on those. Thank you @Billfred and @billbo911 for sharing your thoughts and feedback on our products. @Jon_Stratis we can’t wait to hear what you think of our products. I will say this - all of the products seem solidly made and unlikely to cause functional issues for teams that choose to use them. As an initial offering, they’re great, but we are finding some room for improvement, primarily to increase both usefulness and ease of use. As an example, the PCM board currently blocks all access to the 12V/24V jumper. As an LRI, I can’t count the number of times team’s have had trouble getting pneumatics to work that traced back to having that jumper in the wrong place. Having to remove all the wires, and then remove the board just to check on the jumper would make diagnosing and fixing those types of issues significantly more difficult and time consuming. Of course, if the jumper is in the correct place, then there’s no problem and the board should work great! We provided out initial evaluation to Swyft last week, and are here to provide it to the rest of the community today! Overall, we see this as a strong initial product offering, with solid products that are unlikely to fail during competition. Swyft has already implemented some of our suggestions for improvement, and replied to others - those replies and changes are noted in red within the document. I believe they have already addressed most, if not all, of the items that could be addressed quickly. Some of our suggestions would require a V2 release of products, which includes development, test, and production lead times. Fair warning - this evaluation clocks in at 24 pages, primarily because we wanted each product to have its own, independent evaluation section (See the table of contents for quick links to any specific product). As a result, some common thoughts and areas for improvement were copied into multiple sections. We feel this will make it easier for teams to absorb any relevant thoughts on a specific product they may be considering using, although it has the downside of substantially increasing the length of the document. We look forward to using these products on our robots! 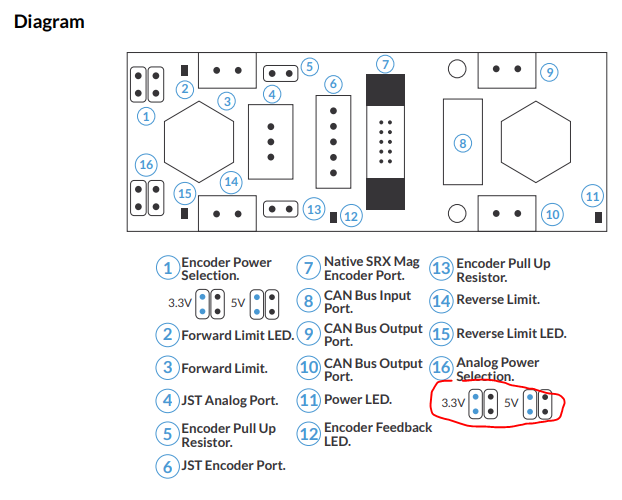 @Swyft_Robotics In the documentation for the Advanced Talon Breakout Board, could you please explain the 3.5V-5V jumper position for the analog sensor power supply? Do blue dots indicate pins closed? @Nate_Laverdure thank you for catching this error in the documentation we have corrected. Here is a picture of the new diagram. Look and seem like great products. Looking to grab some of the bearings and other parts for offseason robots to test durability for next years robot. Agreed. Consider how the information could be preserved if I were to choose to print out the document in black & white. So far, we’ve been very impressed with most of the items we’ve tested - disclosure, we too received a kit. The different sized JST connectors can be a bit confusing but we’ve made sense of all of them. I’d love to have cables to connect directly from the solenoids to the PCM JST headers. Not sure if that is possible but it’d be nice. The stickers have been ok? I can’t say I’m a huge fan of them. If you put them down on something and try to pull them up then you end up ripping off the backing. Not sure this can be easily solved without some price increase but I’d love to be able to take them off cleanly if we were to use them. We ended up taping them in place where we needed them and then punching the hole centers. 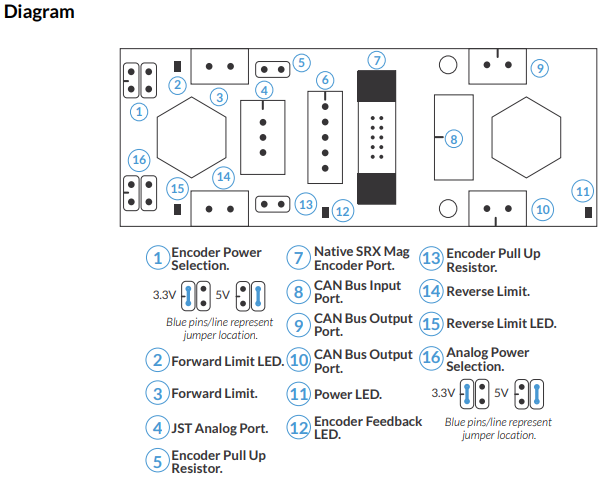 The other trick that seems missing here is that there are only a few holes we care about for any given electronic component so it could make a lot of sense to include the VRM and PCM as internal stickers on the PDP sticker… or something like that. Basically, use up some of that empty space. Other options could be labels or other useful things or even Swyft logo stickers. Just something so it’s not a giant lot of empty space when all that gets used are the four corners for some holes. The main breaker sticker would be cool if it had the holes setup for reverse and forward mounting - should be easy enough to mirror the holes and then mark them as such (though I suspect some team will get it wrong upon drilling). Have been very happy with the shaft collars though the bearings feel very packed with grease. I don’t know that is a bad thing but would love to see some data for the various hex bearings. Overall, I’m impressed with Swyft’s initial offerings. Solid products. This is an interesting suggestion, not something we had thought of. The biggest issue I could see with it is getting the PDP sticker on straight. If you start taking chunks out of the middle, you end up with an outline that could very easily be put on with a wrinkle or crease that throws off the alignment of the holes. Having a large, continuous sticker makes it easier to make sure that doesn’t happen. As an alternative to stickers… what about a more sturdy template? Create it out of thin sheet metal, with small holes to center punch through. probably a little more expensive, but then it’s reusable each year. You can tape it down like Marshall did and punch your holes. It would be good for the core control system components, although stickers may still be best for multi-item things like speed controllers, just to help with the layout. We initially planned on only doing our reviews after build/competition season, but we suddenly ran out of PWM connectors during the final weekend before bag day and ended up turning to the roboRio JST Connector Board (and the pre-crimped wiring harnesses) as a quick fix. We’ve started getting some questions about the board at competition, so I figured I’d throw up some early comments. 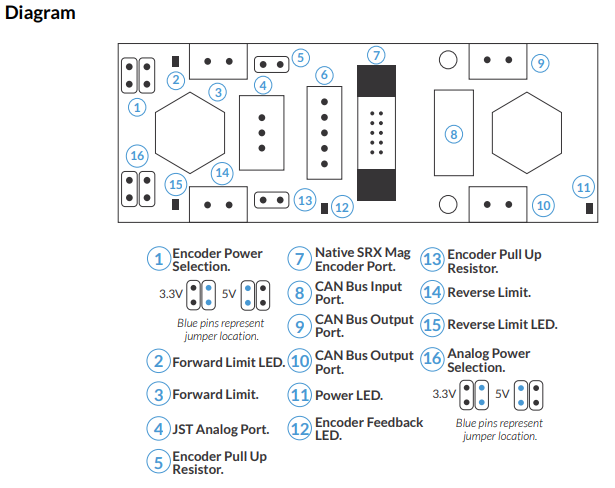 One of my favorite aspects of the roboRio JST Connector board is that it leaves space for using a NavX. We didn’t try with other MXP expansions. But one of the reasons our Spartan Board has sat on the shelf the past few years is that we preferred using the NavX to other IMUs (including the NavX micro), and we couldn’t use a NavX with a Spartan Board. So far we have no regrets about installing the board, and have been pleased. No loose connections during the one event we’ve competed at so far.